Led Zeppelin’s soundtrack to the concert film, “The Song Remains The Same”, has returned to the US charts. According to Billboard, the package re-enters the Billboard 200 at No. 127; available in multiple editions, all versions of the album – original and reissues – are blended together for charting purposes. Upon its original release, the soundtrack was a No. 1 album in the band’s native UK, a No. 2 effort on the US Billboard 200, and Top 10 in several countries. 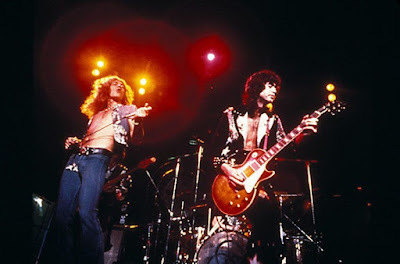 “The Song Remains The Same” reissue officially launched Led Zeppelin’s 50th anniversary celebrations as it arrived 50 years to the date of the band’s first live show – as The New Yardbirds – in Gladsaxe, Denmark in 1968.